Why need to transfer data from iPhone 7 to Samsung S8? Transferring data from one phone to another has become a relatively common practice for many users. In fact, it is not uncommon for any individual to transfer data quite often for one reason or another. This is why those people who have an iphone 7 may want to transfer their data to their Samsung 8. So, for those of you who are interested in some of the top reasons for making a data transfer between these two types of mobile phones, please review the information provided below. - User may have a need to transfer all of their data from their iPhone 7 because the person has just purchased a new Samsung S8. - User may have a need to transfer all of their data from their iPhone 7 because they need to pass their old phone to another user. When an individual is looking for software application to assist them with moving the files that they need via a transfer process, they can take advantage of the features that iPhone to Samsung Transfer offers. This application is particularly great in cases where the process used leads to only a portion of the files being transferred properly. You can use it to transfer contacts, text messages, songs, photos, videos, apps, you name it, from iPhone 7/7 Plus/6S/6/5S/5 to Samsung Galaxy S8/S7/Edge/S6/S5/Note 7/6/5/4, as well as other more iOS, Android and Symbian devices. Tips: If you don't want to lose important data on your iPhone 7, you can backup iPhone on computer. And if unfortunately you have lost data on your iPhone 7, don't worry, you can make tricks to recover lost data from iPhone. Transferring data from an iphone 7 to a Samsung Galaxy S8 has been made easy via the use of the iPhone to Samsung Transfer. To accomplish this process in three simple steps, please review the steps provided below. How to Transfer Files from iPhone 7/7 Plus to Samsung S8? 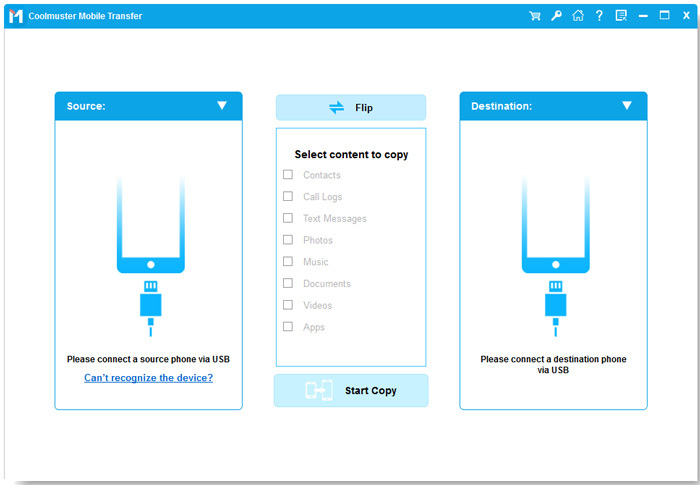 Download the iPhone to Samsung transfer application to the user's desktop computer or the laptop and then launch the software so that it can be accessed by the user, then connect both devices (iPhone 7 and the Samsung 8) via USB cables to the computer. 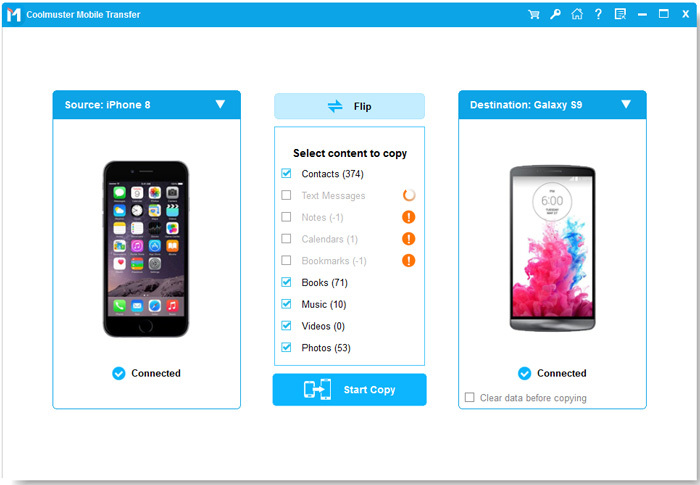 Once both devices have been connected, the user will see a window in the interface that gives the user the option of clicking on 'Phone to Phone Transfer'. The transfer process of the files can be initiated by selecting the file types at a time (text message files, music files, video files, etc.) and then clicking on the "Start Transfer" button to transfer the data requested.